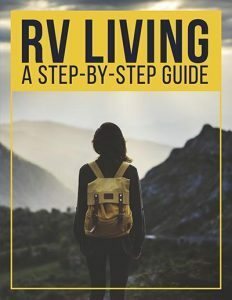 Are you interested in camping in your RV this winter but have no idea where to begin? Winter camping can be a challenge, but this doesn’t mean that your off-season adventure is a lost cause. 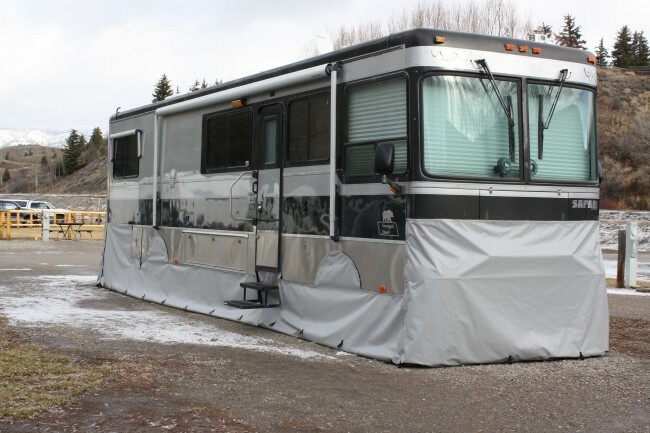 Simply winterize your RV to prevent any damage caused by freezing temperatures, and off you go! 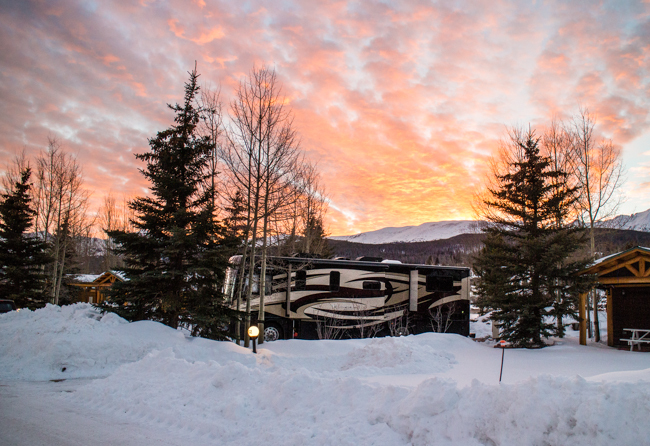 Before leaving the comfort of your home, make sure that your RV can withstand the rigors of winter camping. Most of the RVs currently on the market are fairly well insulated and are built to handle some cold weather. 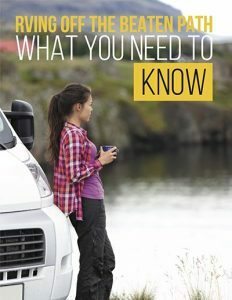 Even if your RV isn’t the newest one on the market, you can still be as snug as a bug this winter by following some proper preparation procedures. Check all the window seals, and apply (or re-apply)caulk where needed. Keep cold drafts out by inspecting the weather stripping on all the exterior doors and replacing any that need it. Cut insulating foam boards and place them between the RV frame and the ground. Empty both your gray and black water tanks before your trip. Add the special pink antifreeze to each holding tank to protect the dump valves from freezing. Use foam pipe insulation to insulate the pipes. If you are planning to camp for a long time, consider electric piper heaters. Add a holding tank heater. Use heat tape to insulate your sewer hose and prevent ice dams. Use a small space heater to keep your water pump from freezing. Retrofit with insulated RV windows if you don’t already have dual pane windows. Use insulated curtains to keep the interior warm even at night. Insulated curtains can also be used to separate the living area from the driver’s seat. This will decrease the amount of cabin space that you need to heat. It will also help you save money on electricity or propane. Cover your windows with foam backed insulation for a cheap solution that is available at many home improvement stores. Skylights and roof vents provide excellent places for heat to leak out. Thus, you must seal these areas with RV vent cushions that fit over most standard size vents. When outside temperature drops below zero, the refrigerant in your refrigerator will tun into a gel that will plug up up the refrigeration system’s coils. To prevent this, remove the outside refrigerator access cover and palace duct tap over two of three vent slots. If your RV doesn’t have a furnace, buy heat fins or a heat pump. You may also want to buy an extra source of heat because these appliances don’t work well by themselves — especially when the temperature outside drops below 40 degrees. Portable electric space heaters or catalytic heaters can make a big difference if you don’t want to run your furnace. It’s important to note that you will need to make sure that either a vent or window is open for ventilation purposes. These units can also create condensation in the RV, so remove this extra liquid with an electric dehumidifier. This will also help you prevent mild, mildew, and corrosion. Propane doesn’t last long if you are using it as a heat source. Make sure that you are close to a profane refill station or bring extra tanks with you. This item is perfect for those camping in an extremely cold area. You must turn it on about 3 hours before you start your engine. Spray RV antifreeze on slide gaskets to prevent the slide from retracting. Check the weather report before leaving for your trip. Make sure that the campground that you are interested in is open before you leave. 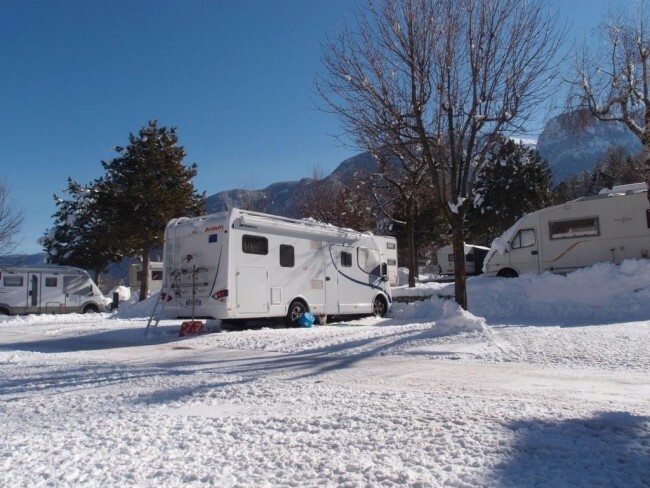 It may seem that RV camping during the winter is a lot of work, but the good news is that many of those add-ons only need to be installed once. Happy Winter Camping! !